Happy New Year 2015 - look out for us. You are welcome to get involved. As we look forward to another challenging year for everyone who values human rights it is good to look back at some of the things that we did last year. Lots of hard work and fun. Early in the year Shaun Attwood (pictured) drew on his own experiences to speak about human rights abuses in US prisons at a Writers on Rights event in February. In March Gihan Soliman led a discussion on the situation of Women in Egypt for International Women's Day. In May Pat Borthwick, Sai Murray, Laila Sumpton, Kathryn Lund and Paul Adrian (above), spoke about their poetry and human rights at Writers on Rights. They all have Yorkshire connections and led a lively discussion that carried on after the event officially finished. 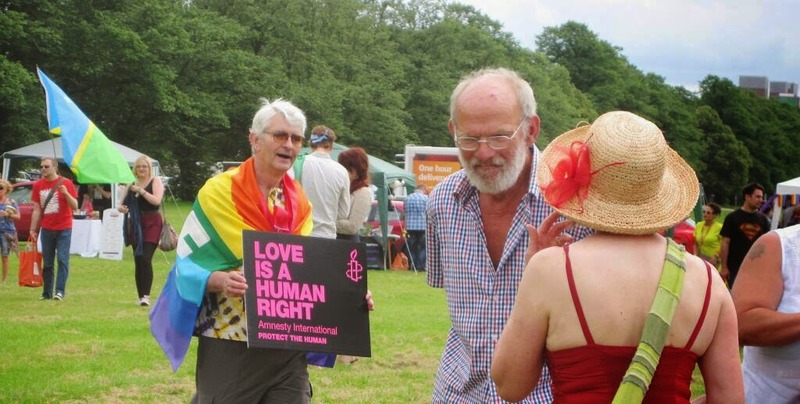 The next summer event was the York LGBT Pride march in May and the York AI stall (below) where the group's snakes and human rights game was a big hit (without ladders you find out how difficult winning human rights is). We also attended the Remembrance and Beyond event in July, which gave everyone who attended chance to discuss and ponder on wars, and saw us launch our inputs into AIUK's continuing campaign against torture. On to the last months of the year. 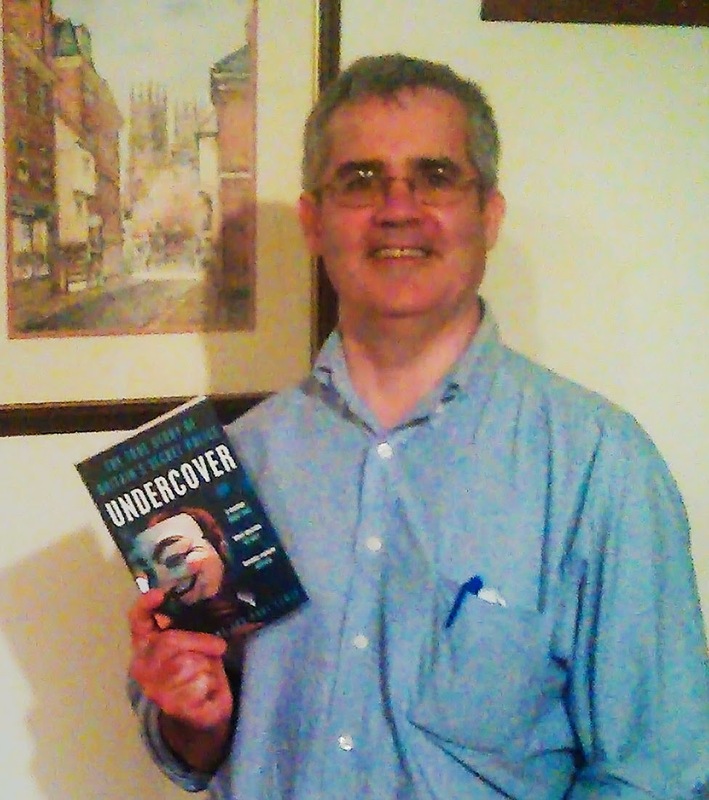 Rob Evans (below), the Guardian journalist, and co-author of Undercover came to speak at the Writers on Rights at the end of October and led a wide ranging discussion of the ethics of undercover policing when it intrudes into individuals' personal lives, accountability, legality and the importance of investigative journalism and press freedom. ﻿At the beginning of November we held our second Latin Night and meal. Pure joy - wonderful fun - Yersin one of our many performers who gave their time free leads the Salsa dancing below.